Love Live! Sunshine!! 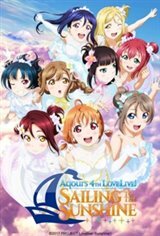 Aqours 4th Lovelive! Tour -Sailing To The Sunshine- movie large poster.